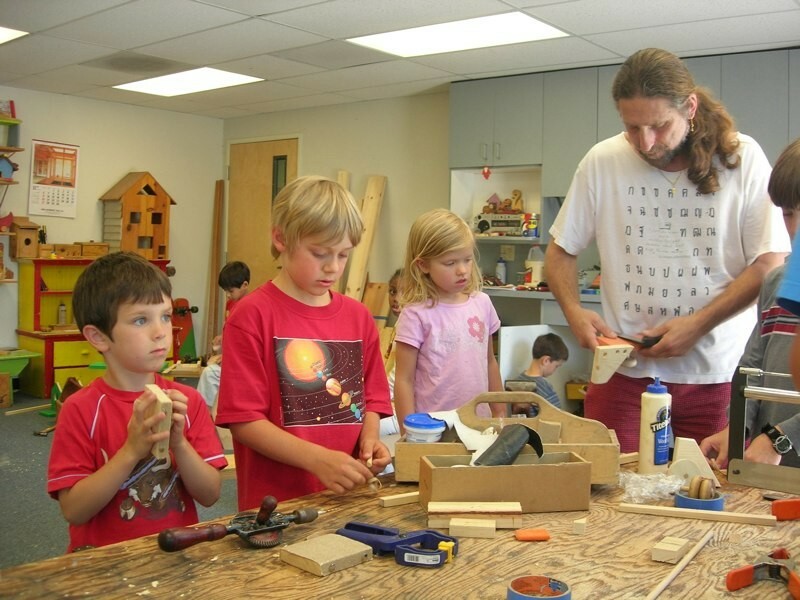 Kids' Carpentry is a year-round, after-school math enrichment program. This program - established in 1982 - remains very popular among parents, educators, administrators and most importantly, students. 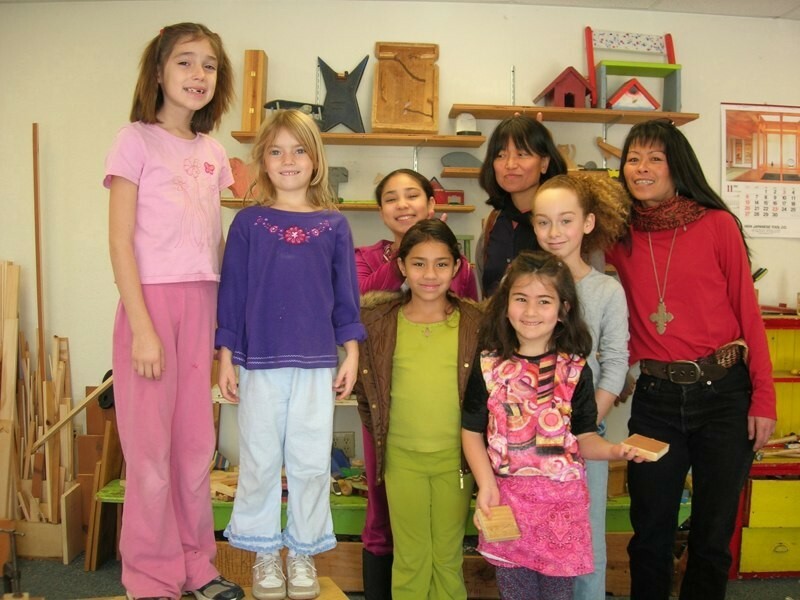 Kids' Carpentry is designed to teach boys and girls, grades kindergarten through sixth, practical woodworking skills with an emphasis on the safe use of hand tools. 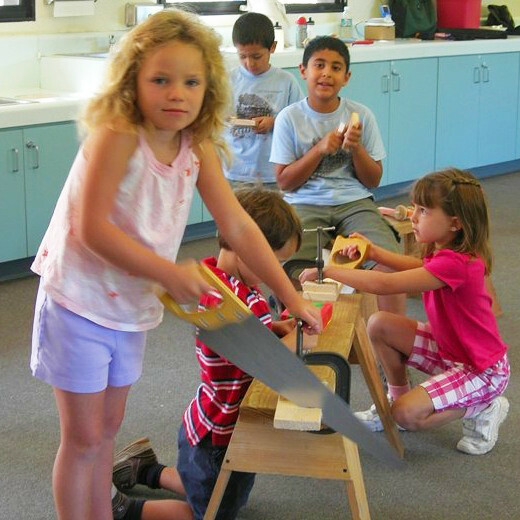 By building a variety of fun projects, children learn a wide range of valuable carpentry skills such as measuring, fractions, sawing, drilling, rasping, fastening, sanding, shaping, assembly, and painting. Hand in hand with the practical skills goes a wide variety of other worthy concepts such as abstract reasoning, applied mathematics, problem solving, craftsmanship, fine motor skills, respect for tools, and patience. 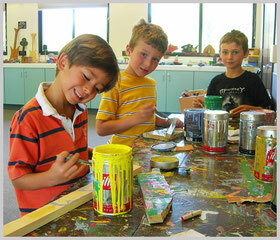 The success of Kids' Carpentry is largely due to its ability to capture the children's attention. 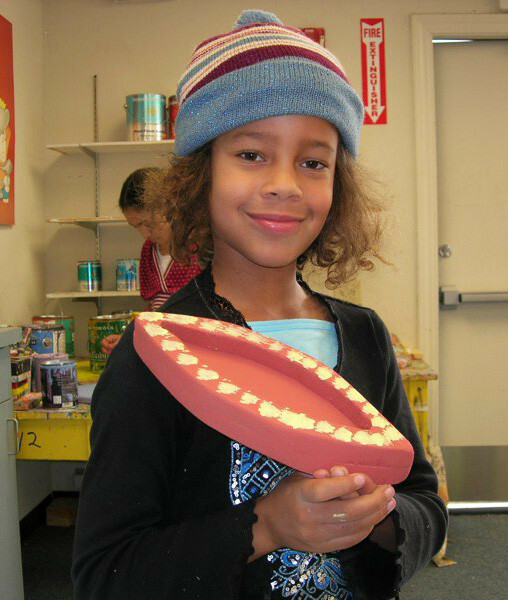 While the children build fun and exciting projects they are also empowered to become independent thinkers - building confidence, self esteem, and a repertoire of practical skills that will last them a lifetime! Kids' Carpenty. Building confidence, and teaching with respect and humor, in a safe and happy environment. 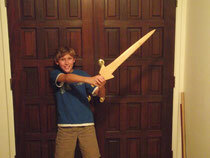 Read the latest from the Kids' Carpentry Blog! All the latest news, updates, and musings right here. For older entries, be sure to visit Michael's Blog page.